Thickness counts. The more insulation you install with the highest R-value possible, the greater energy savings you'll enjoy. The walls of your house are an important part of your home's "building envelope" -–the assembly of building materials (framing, sheathing, siding, wallboard, etc.) that separates your interior living space from the outdoors. But how well are your walls insulated? That’s not an easy question to answer. In an unfinished basement, crawl space or attic, you can actually see where insulation has been installed. But the cavities or “stud bays” in a wood-framed wall are hidden. One sign that your walls aren’t adequately insulated are cold spots on exterior walls --areas that are noticeably colder to the touch during winter months. Cold drafts are another sign --air movement that you can feel, usually near an exterior wall. These symptoms are troublesome for two reasons: They reduce the amount of available living space in your house by making rooms uncomfortable. Secondly, they indicate that your house is losing energy and costing you money in the form of unnecessary utility expenses. Instead of trying to guess where your walls might need more insulation or air-sealing to improve comfort and energy efficiency, you’re better off calling a home energy expert like Dr. Energy Saver that specializes in wall insulation in Connecticut. We have the equipment and expertise to determine how much wall insulation you have, what type it is, and how well it’s performing. We can detect “voids” where insulation is missing, and pinpoint the air leaks that allow conditioned air to escape from your living space and outside air (that’s usually too cold or too hot) to enter the house. Air leakage, combined with missing or inadequate insulation, can cost you hundreds of dollars a year in unnecessary utility expenses. If a home insulation inspection reveals inadequate insulation levels, Dr. Energy Saver will recommend specific insulation and air-sealing upgrades and provide a Free Estimate to perform the work. Our installation technicians aren’t subcontractors; they’re trained and certified at our corporate headquarters in Seymour, CT. You can be sure that you’ve got the right insulation installed in the right way. How do you fill wall cavities that you can’t see with new insulation? This task is impossible for many contractors, but Dr. Energy Saver can accomplish it quickly and effectively using industry-leading technology. 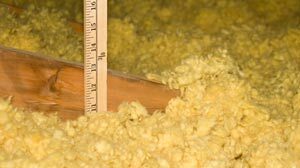 Depending on conditions at your house, we can fill wall cavities with “dense-pack” cellulose insulation or injection foam insulation. For both techniques, access holes are drilled in walls from inside or outside the house, then the new insulation is injected into each wall cavity and access holes are plugged. A basement or crawl space foundation is also a target for insulation upgrades that can improve interior comfort and reduce utility expenses. 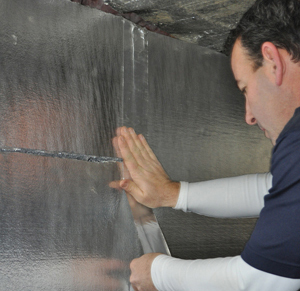 Rigid foam insulation is the best insulation material to use in basements and crawl spaces, and it’s usually installed against foundation walls. Along with this insulation upgrade, air-sealing work is also completed to reduce the infiltration of outside air. New construction walls present numerous insulating options. If you are building a new house or home addition, there are more insulating choices because the stud bays in wood-framed walls will be open and accessible. Dr. Energy Saver can go over the pros, cons and costs of different insulating options for your new construction project. Dr. Energy Saver serves, Bridgeport, New Haven, Hartford, Stamford, Waterbury, Norwalk, Danbury, New Britain, West Hartford, Bristol, and surrounding areas. Contact us today for a Free Estimate.